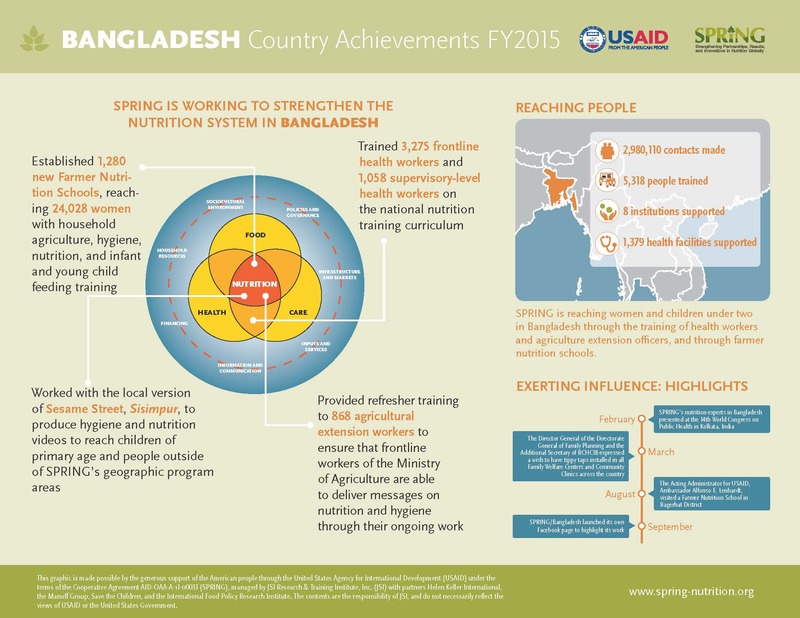 The SPRING project in Bangladesh continued to scale up its work to integrate essential nutrition and hygiene actions into government-sponsored projects and build nutrition capacity among frontline health and agriculture extension workers, growing its coverage of the target population from 30 to 50 percent. We established 1,280 new farmer nutrition schools (FNS) in fiscal year 2015, reaching an additional 24,028 women. This progress brings the cumulative number of FNS to 5,141 and the number of participants to 101,245 since the project’s inception.